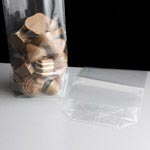 We offer a range of Block Bottom Polypropylene food bags in a variety of different sizes, with or without silver card in the base. 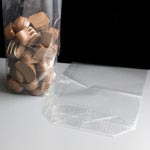 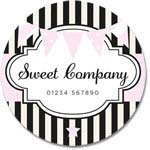 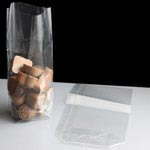 Ideal for use in delicatessens / sweet shops for packaging handmade chocolates, sweets, confectionaries, toffees, fudge. 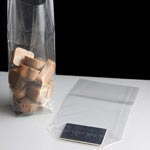 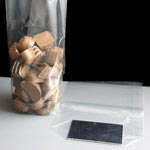 These bags can be sealed by a heat sealer or simply tied at the top with string, ribbon or tape. 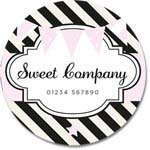 If the labels above are not exactly what you are looking for then please have a look at our Customizable Labels section to view our full range as we have many other designs available.